The following are qualifying rules for contestants desiring to contest and hold the Guinness World Record in the Unlimited Class. 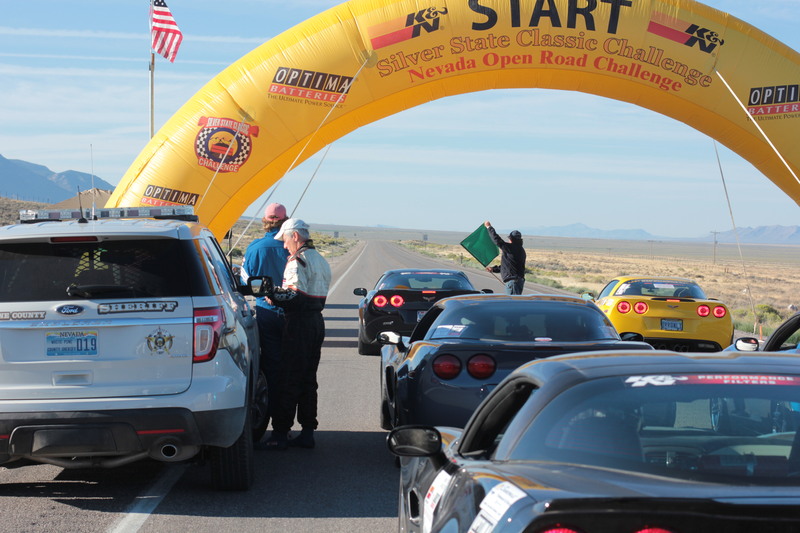 These requirements are in addition to all of the requirements and rules governing the running of Silver State Classic Challenge Open Road Racing events. 1. 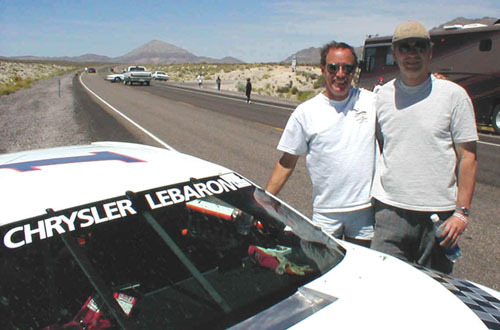 Participant drivers must be at least 21 years of age, and must have run and successfully completed an SSCC Open Road Racing event at least one time previously, at a target speed of 180 miles per hour or greater, and must be entered in the Unlimited Division at the time they attempt to set a new World Record. 2. 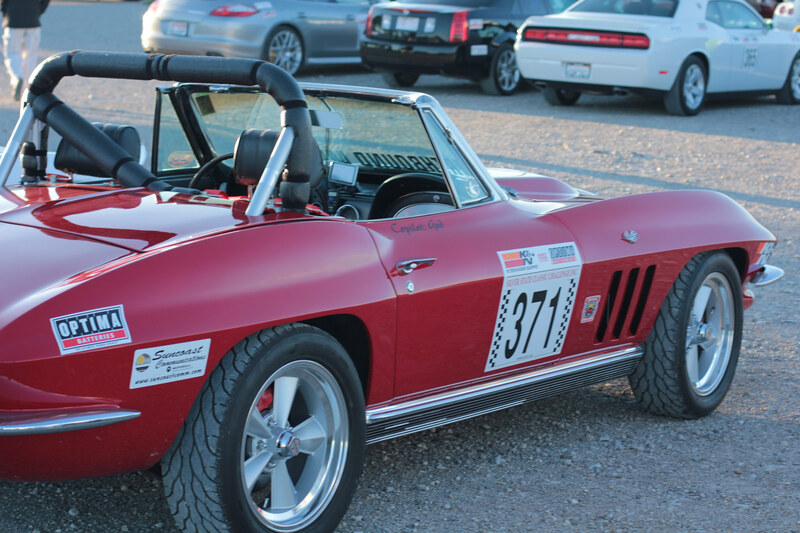 Vehicles must be adequately prepared and pass the SSCC technical inspection for the Unlimited Division class of competition. 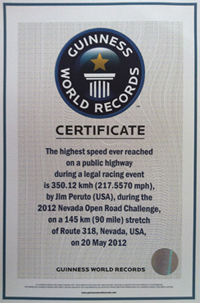 All vehicles competing for this World Record must be powered by internal combustion engines running pump fuel. 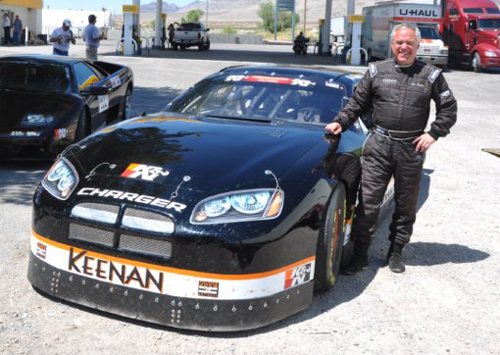 The addition of octane performance boosters is permitted. Turbochargers and superchargers are also permitted. All vehicles must also have closed-wheel fenders, and have the appearance of a production automobile or truck. 3. 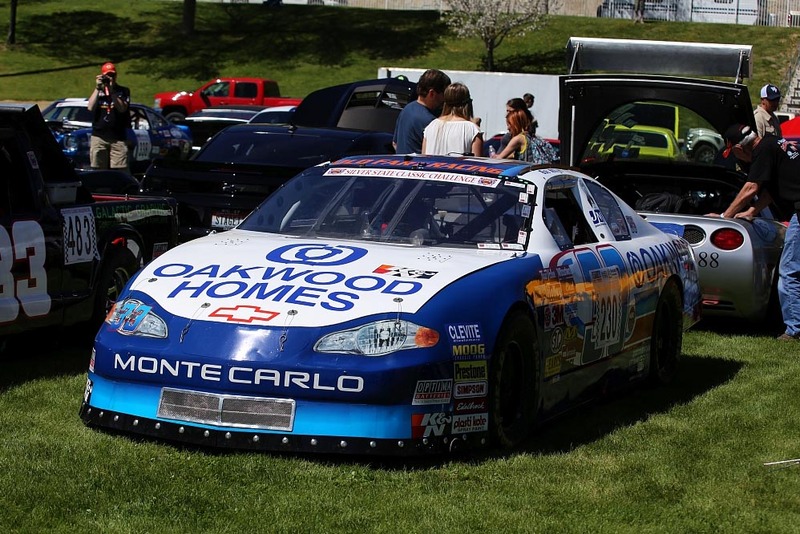 The World Record will be held by the driver who completes the 90-mile SSCC course in the shortest possible time, and will reflect both the time and average speed. 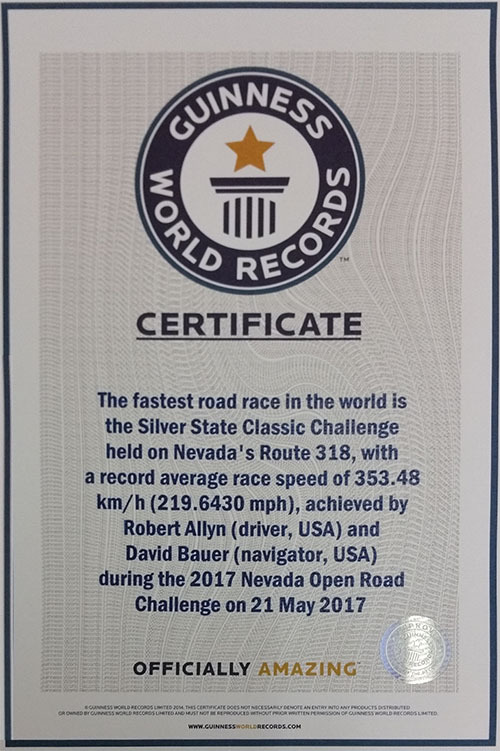 Record attempts may only be made on Nevada State Route 318, and only during the Nevada Open Road Challenge or Silver State Classic Challenge events when the 90-mile, one-way course is in effect. 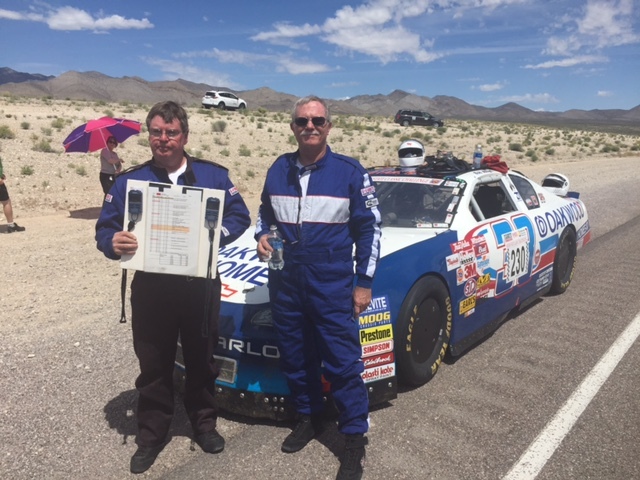 Any attempts to practice for these events at greater than the posted speed limits at any other time or on any other public highway in the State of Nevada will result in disqualification for contenders, and loss of the title for record holders. 4. 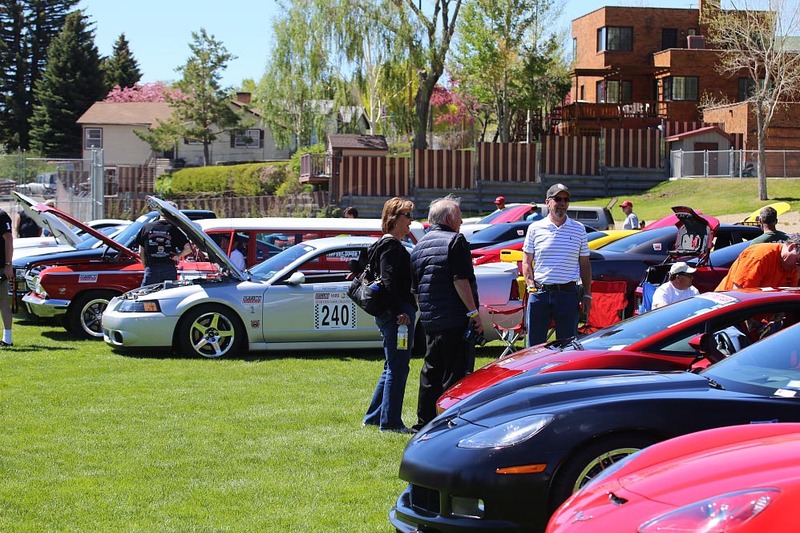 All participants in SSCC events entered in the Unlimited Division are automatically considered competitors for the World Record. 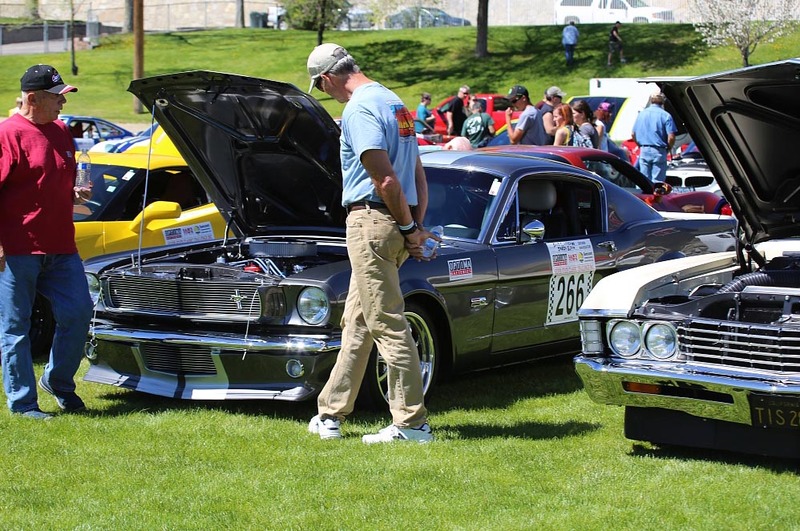 Anyone running in any lower speed division does not qualify to compete for the record, and will not be considered. 5. 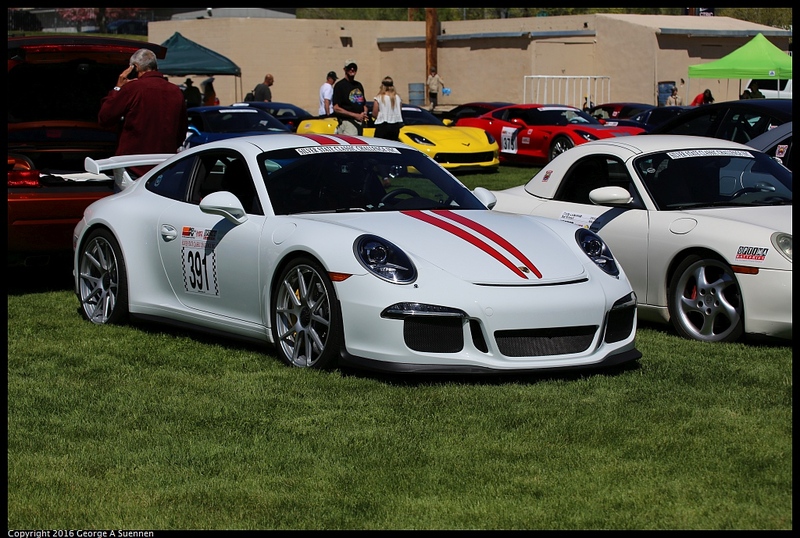 All holders of the SSCC Public Highway Land Speed Record will be listed on two perpetual trophies, one in the Capital Building of the State of Nevada in Carson City, and the other to be maintained at Silver State Classic Challenge office in Ely, Nevada.